Not everyone is good at writing, let alone writing a research paper. Writing does not come easy to all, and when it comes to doing a thorough research and organizing all the information into one document, a lot of scholars out there fail. Yes, if you are in your last year of college or university, you might be one of those students who feel the same while gathering and organizing the researched data. Let us tell you this that you are not alone. When you are assigned a research paper to write, make sure that you take the following steps if you really want your research paper to count as a success. For a research, usually the choice of the topic to be selected rests solely on the shoulders of the researcher. Yes, your supervisor has to accept it too in order for you to start working on it, but the first and foremost option is given to you. Always make sure to select such a topic that interests you and drives you to know more about it, rather than going for the run of the mill topics that have already been researched and done away with a thousand times. Make sure to select such a subject that you can easily manage and then narrow it down to a point where your focus would be on that aspect only. After getting an approval from your supervisor, you have to gather enough information on the topic as is possible. A library should be your first choice to research as the data gathered from such a source would be more authentic as compared to getting it through online searches. Go through the online material by critically evaluating the information on the websites. Not all the information that you get online is authentic, hence, one has to be extra careful while making the information a part of their research. After gathering enough facts, information and analyses, make sure to organize the data in a clear cut, well organized outline so that you have a clear picture of how shaped up your research is. After all the research and organization, you need to sit down with all the notes properly labeled and then write them down as per the outline. It is advised to paraphrase the ideas rather than quoting them as it is, but also ensure that proper reference should be given to the ideas of an author or researcher when you mention them in your draft. This first draft can be modified and edited later on with the following drafts being the second, third and so on. When the drafts are submitted to the supervisor, it is the duty of the supervisor to point out the flaws or other errors in your research and writing style. 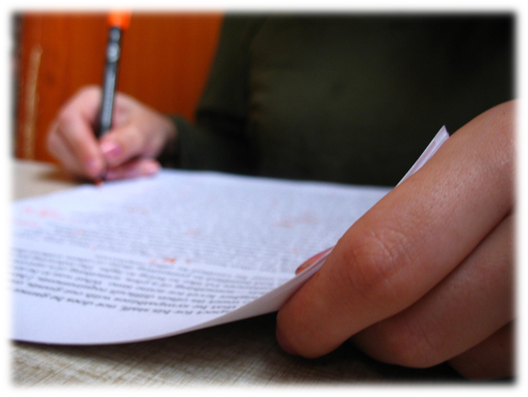 You will be asked to revise the draft many times for even structure or grammatical errors. Make sure you revise the final draft carefully after citing the references properly in order to present a flawless research paper to the supervisor. Thomas Cook is a well-known individual in his university. Thomas has been a high achiever for most part of his academic life and has several research papers published under his name. Strengths and interests of James include sports, reading and music. He also likes to work around social networking forums like Dissertation House to help other students.